I have said it before and I will say it again. If you are planning a classroom Christmas party, you need to have a copy of don't eat Pete handy. Of course, it is more fun to have a winter version of Don't Eat Pete or even this fun Christmas version, Don't Eat Rudolph! This printable and a bag of red candies and you have the perfect time filler if your other planned activities don't stretch as long as you had hoped they would. 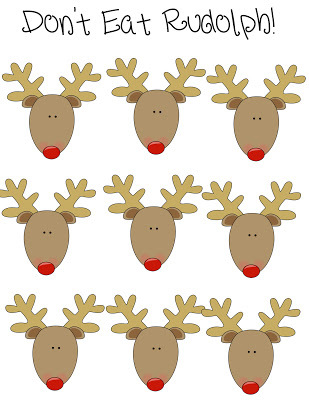 You can download Don't Eat Rudolph over at Crystal's Craft Spot.